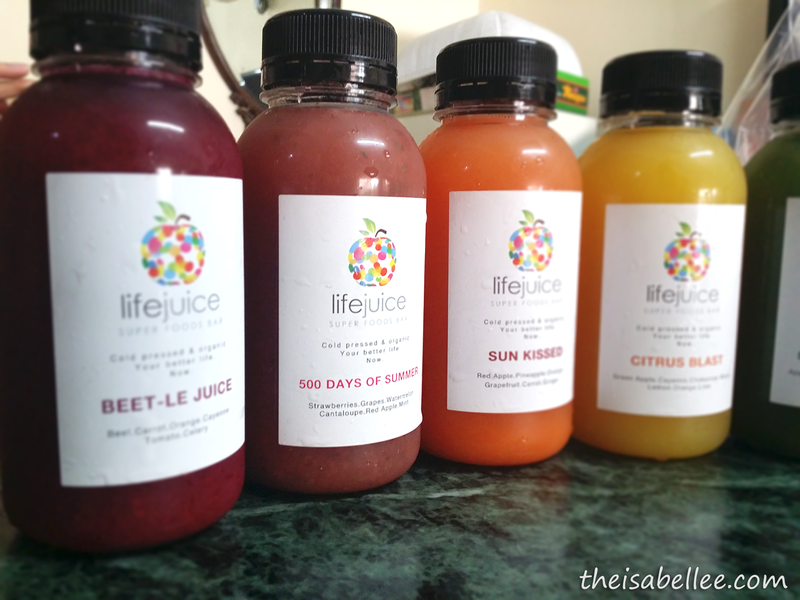 I won myself these bottles of cold pressed juice from Life Juice Co by playing an Uber game. Thanks! 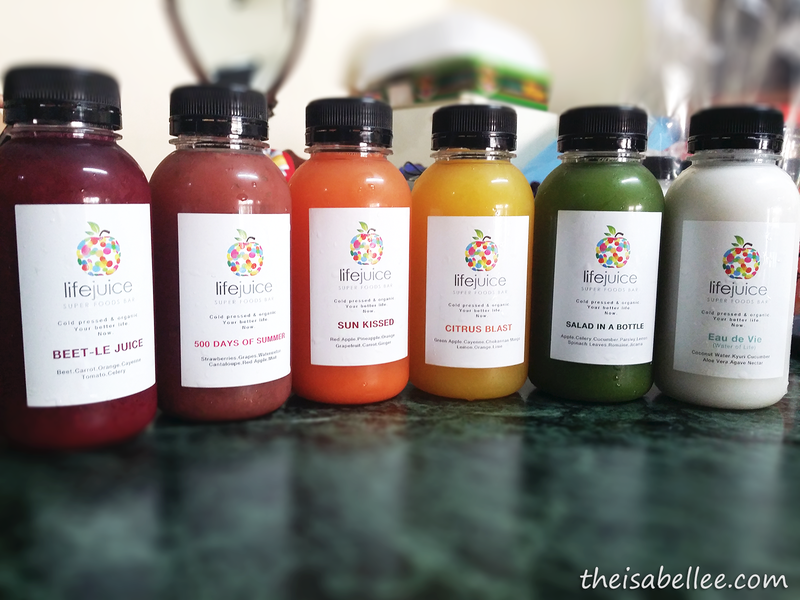 Picked them up at 1 Utama (near Lavender bakery). Yum! Doesn't this look refreshing? What's your favourite combination? 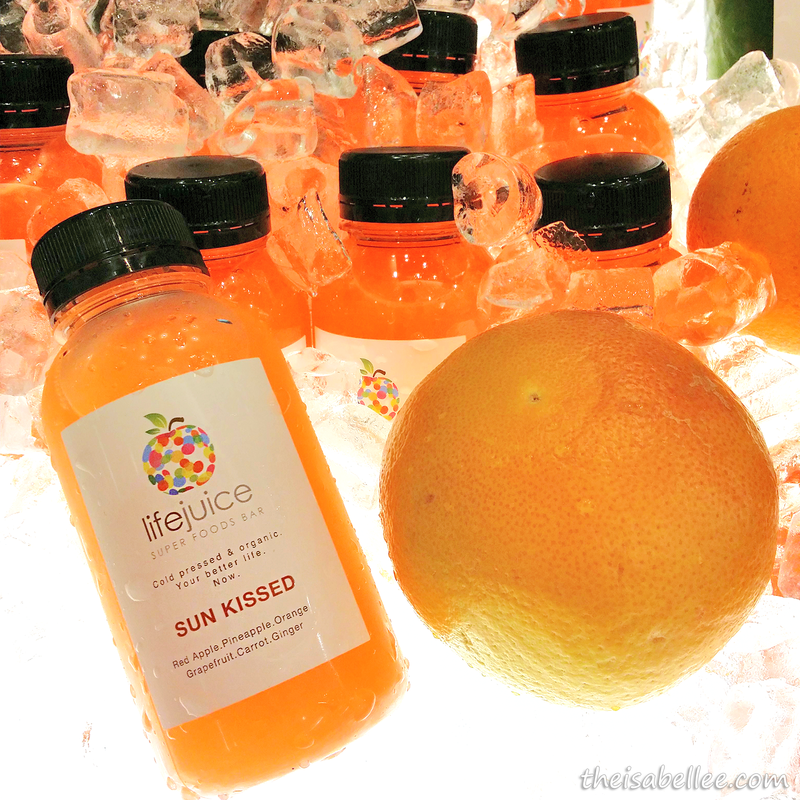 The ingredients include fruits and vegetables - not full of sugar or watered down. 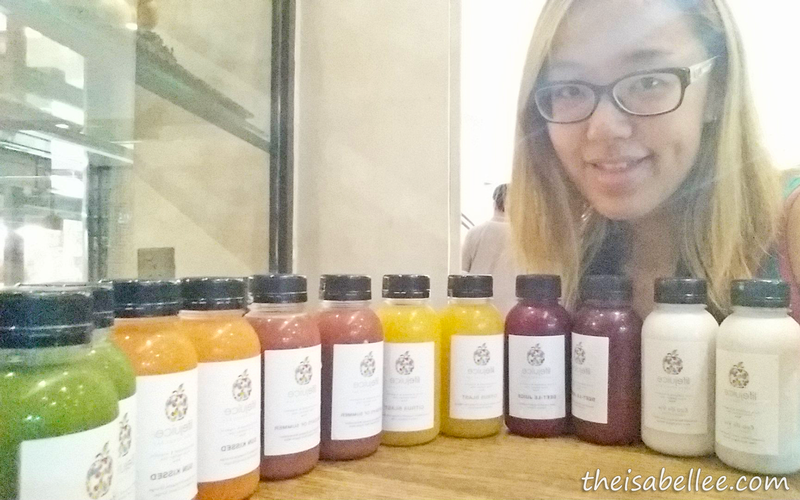 The juice is extracted using cold press method which keeps more of the good stuff in it. Read the back of the bottle to find out what benefits it provides. Some lower blood pressure while others control cholesterol levels. 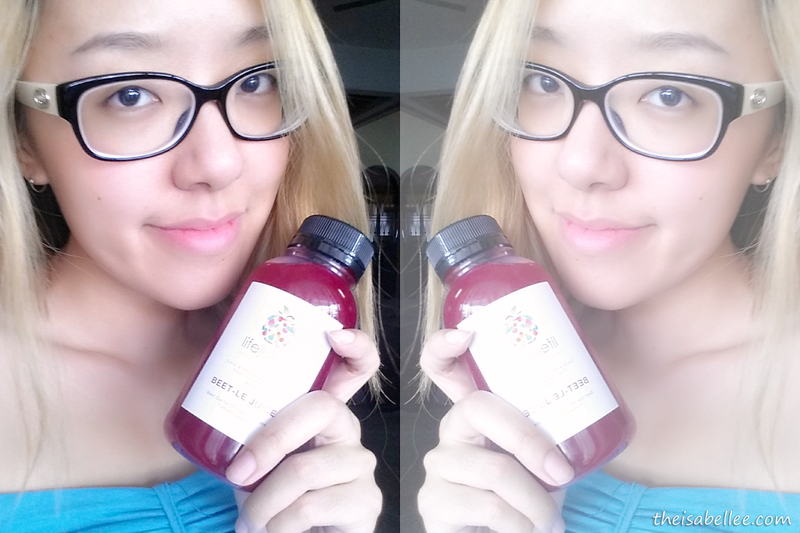 The one I'm drinking right now is Beet-le Juice because it's good for my eyes! Though I found it a little strange as it contains cayenne pepper which gave the strong celery taste a spicy flavour. Citrus Blast is quite nice too if you like orange juice. 500 Days of Summer is a sweet drink that tastes strongly of strawberries. Would you pay RM 12.90 for these 300 ml bottles? Because that is how much they cost! I wouldn't say they're cheap but organic fruits aren't cheap plus the machine they use to make the juice is $$$. P.S. 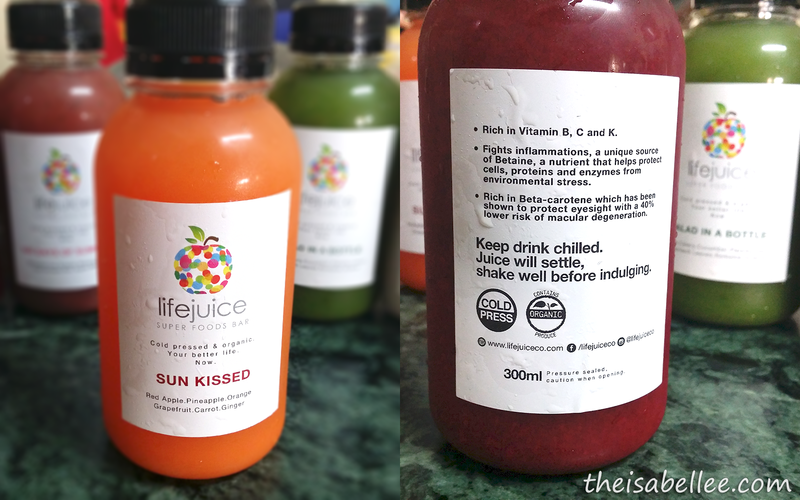 Watch this hilarious video where people are served 'unhealthy' concoctions rebottled and rebranded to look like cold pressed juice.